Although it is the length of a standard string quartet, Josef Bohuslav Foerster's String Quartet No.3 is in one movement, albeit in several very contrasting sections. This was a technique pioneered by Franz Liszt and adopted by many composers during the first part of the 20th century. The Third Quartet was composed in 1907 and revised in 1913. By now, Foerster, though he had retained his fondness for Czech folk melody, had broken away from traditional structures and often sought out somewhat adventurous tonalities. Much like Smetana's Aus Mein Leben String Quartets, there is a biographical nature to the music. In the manuscript, Foerster quotes a poem "Let the music bloom in your heart / And it shall reveal what cannot be said by words / My love, gratitude for countless sacrifices / And how sweet it was living with you..."
The Quartet is composed of four sections and several subsections within these. The first section is a kind of gentle lullaby, which is then followed by a polka which definitely recalls that of Smetana's First Quartet. Then comes the dramatic climax of the work which takes part in the final two sections. Josef Bohuslav Foerster (1859-1951) was born in Prague and first studied with his father who was a leading organist and Professor at the Prague Conservatory. 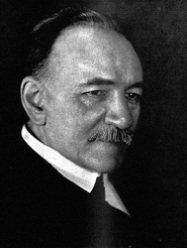 Foerster studied organ at the Prague Organ School and composition at the Conservatory. Upon graduation he took over from Dvorak as chief organist in one of Prague's leading churches. He was on friendly terms with all of the leading Czech composers and was initially influenced by Smetana and Dvorak. He worked as a music critic in Hamburg after marrying the leading Czech soprano who was engaged at the Hamburg opera. In Hamburg, he met and became close friends with Mahler as well as Tchaikovsky. When Mahler left for Vienna, Foerster followed him and became a professor at the New Vienna Conservatory. After the formation of the Czech Republic in 1918, he returned to Prague where he taught for many years at the Conservatory. His music while initially influenced by Smetana and Dvorak, later changed as did musical styles, although he always remained a tonal composer. After his first period, his works no longer could be considered nationalistic as he stopped employing the idioms of Czech folk music and adopted a more perstonal and mystical style. He composed in most genres and left a considerable amount of chamber music including five string quartets and three piano trios. This Quartet is an early modern masterpiece which deserves to take its place alongside the quartets of Smetana and Dvorak in the concert repertoire. Yet, it can also be recommended to amateurs who will find it presents no great technical difficulties. Long out of print, we are proud to make it available once again.